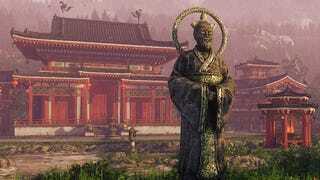 I haven't seen an asian-style temple so beautiful since I played the Shadow Warrior reboot last year. The map was done in CryEngine3 by Minsk-based 3D artist Censored_ID, who recently shared his work at the Polycount forums after finishing the project in July. Check below for a video and some gorgeous screenshots.